This is an illustration I created of an astronaut in space. His space suit ended up looking more like a cosmonauts. Not sure exactly why he is so enormous, just thought it would be fun to draw him that way. 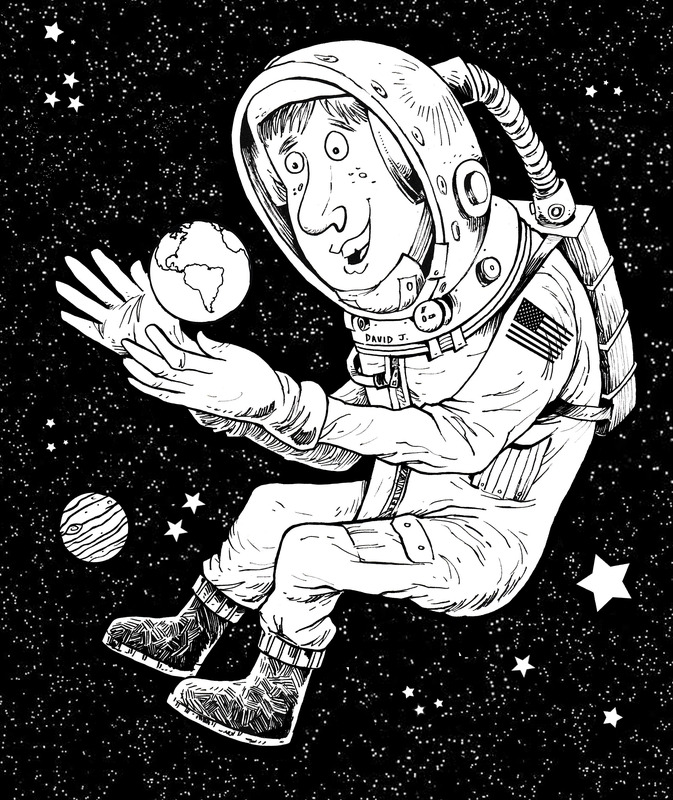 Here he is, the ginormous astro-cosmonaut in space! Ginormous officially became a word in 2007 when it enter the Merriam-Webster’s Collegiate Dictionary, Eleventh Edition. I think he counts as ginormous. 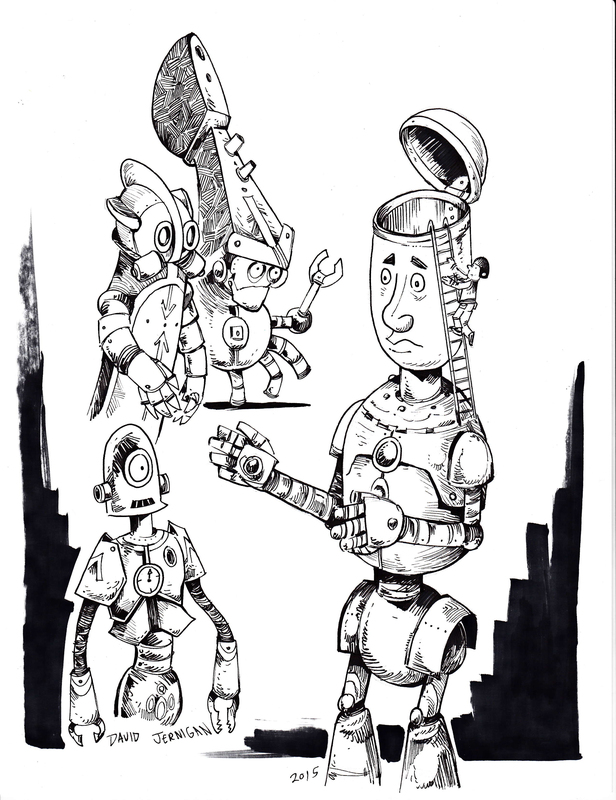 Here are some sketches I created over the week. 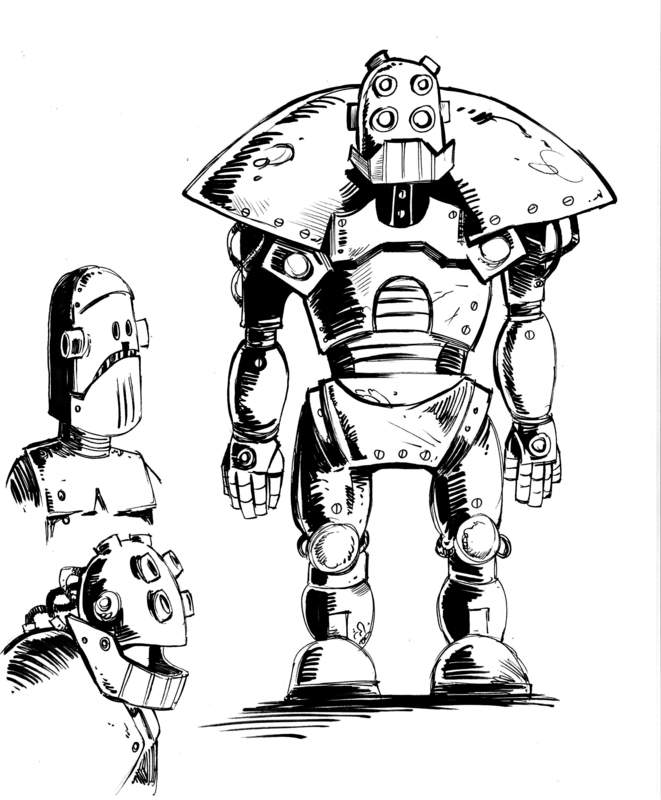 They are my standard fare of robots and monsters. 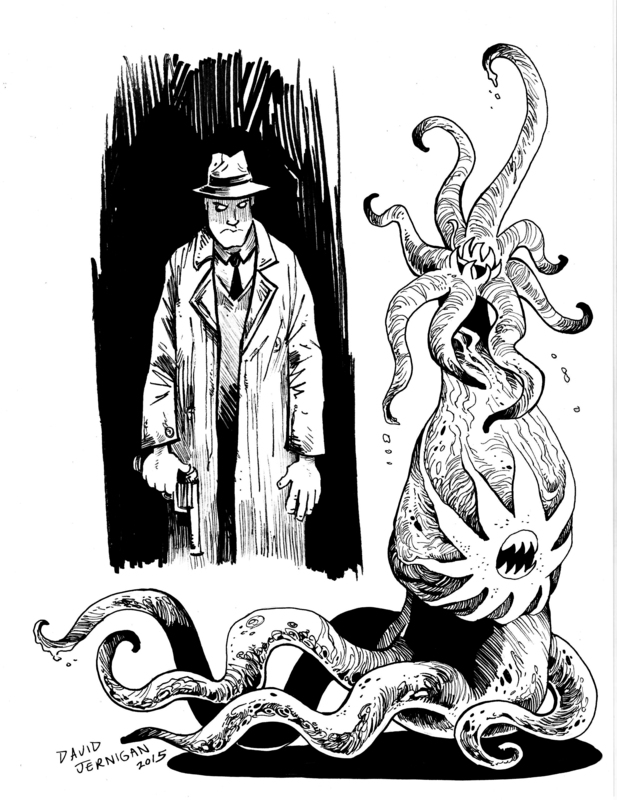 The private eye and monster drawings look like something out of the fear-drenched universe of H. P. Lovecraft. However, the monster could pass as a mutated creature from Super Mario Brothers.